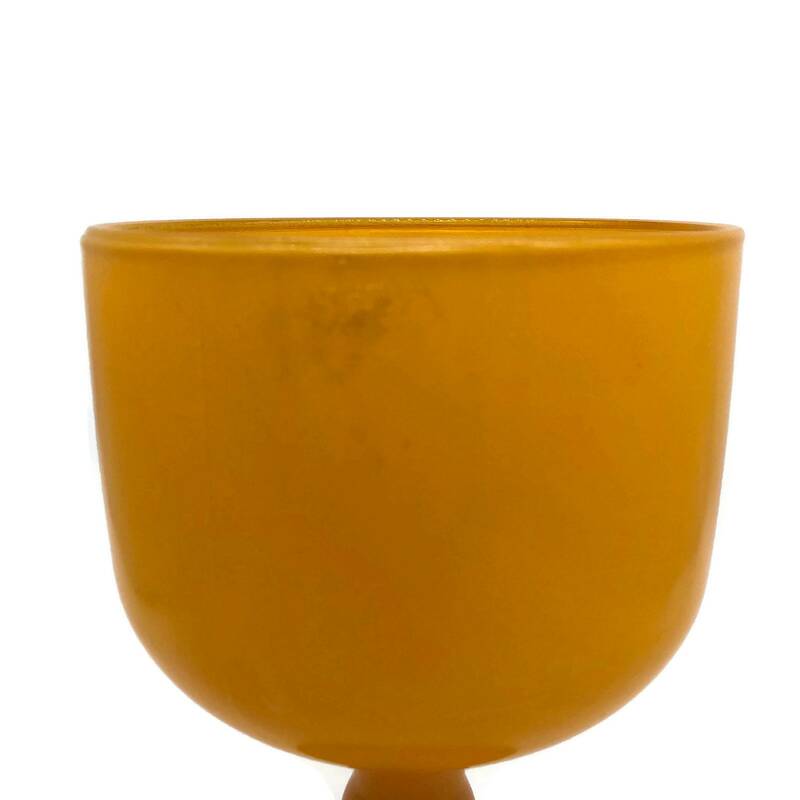 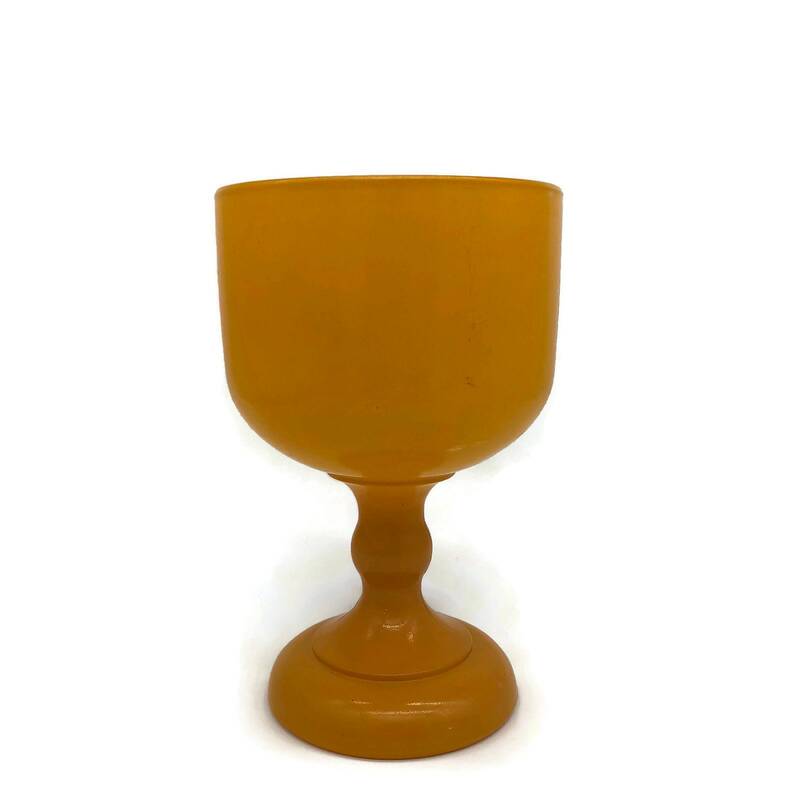 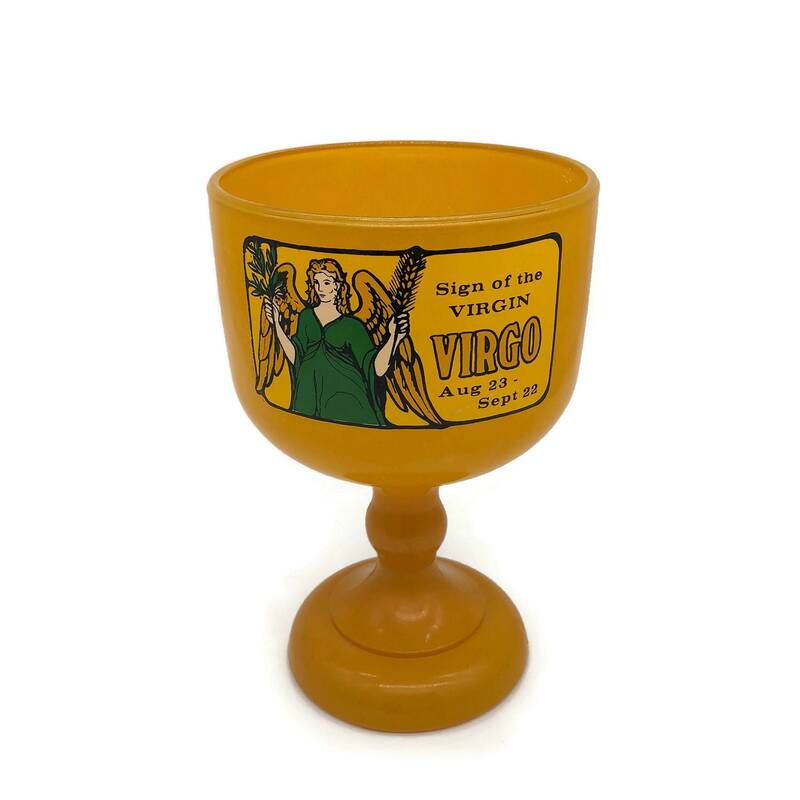 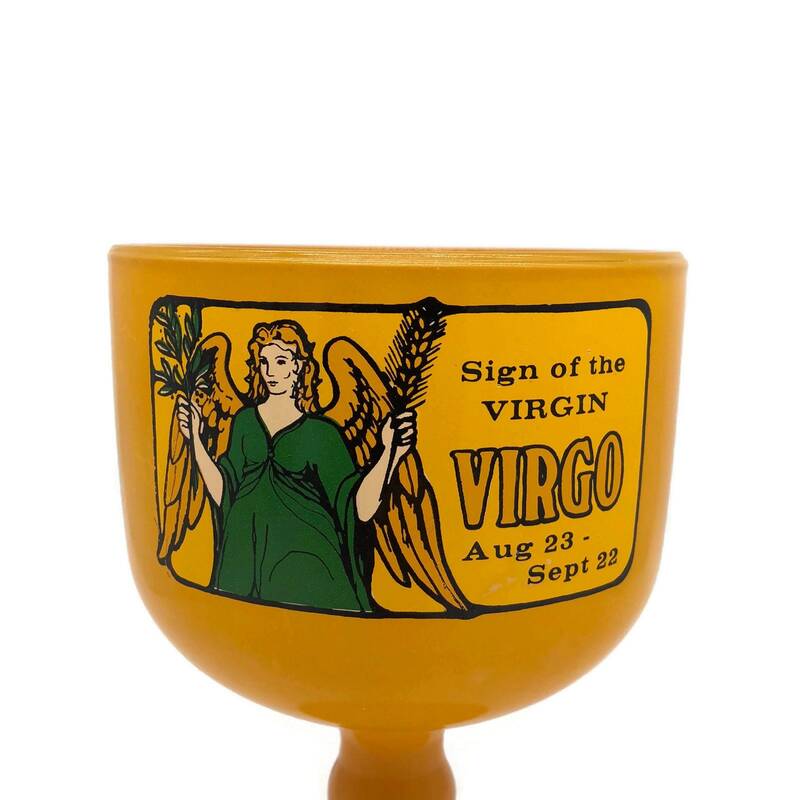 Large vintage drinking cup for the Virgo in your life! 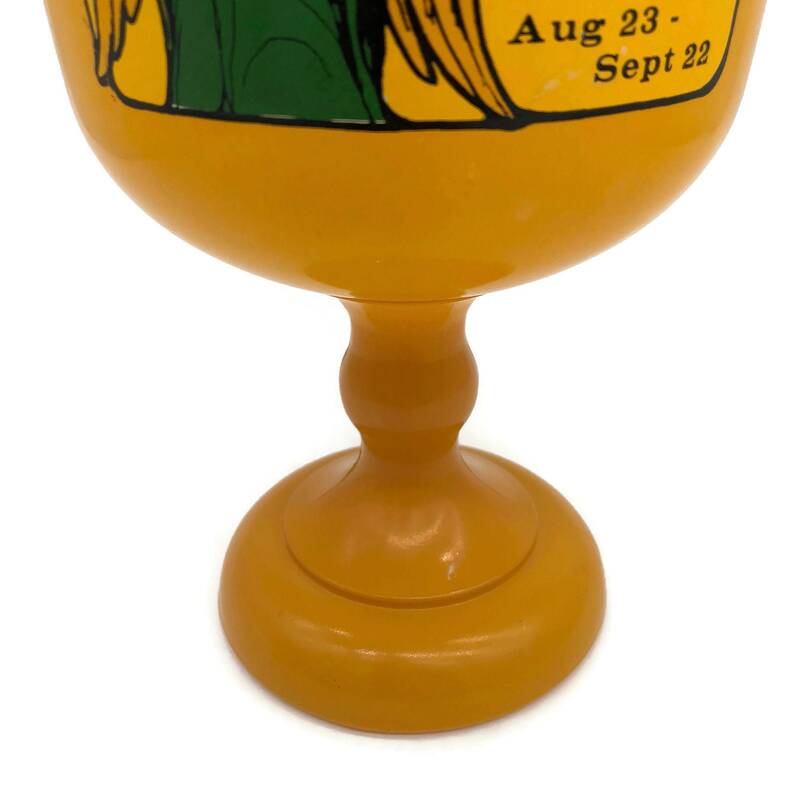 Yellow glass with green, black and ivory detailing. 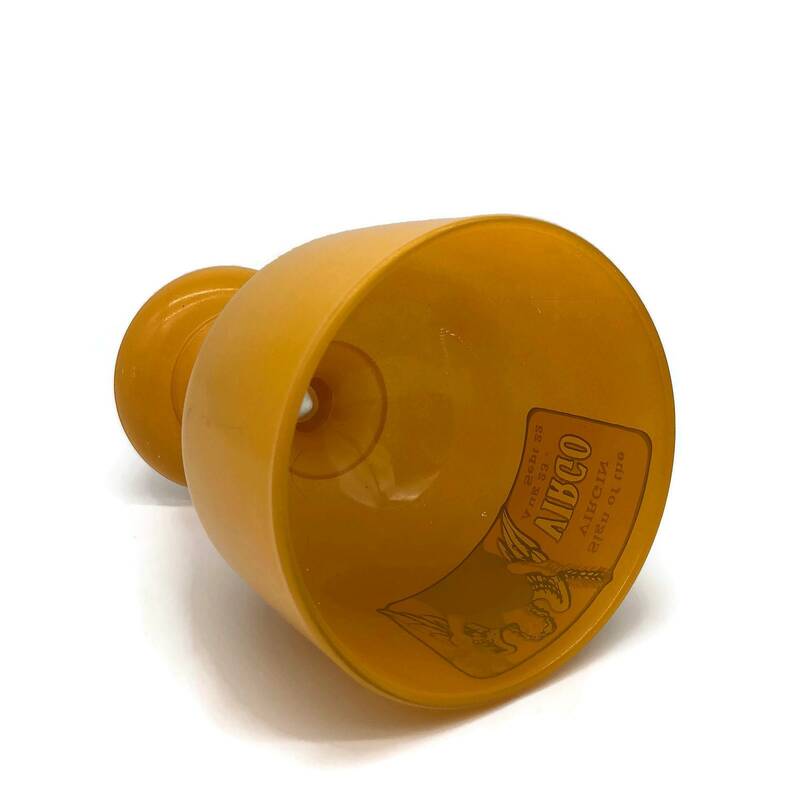 Minor scuffing and scratches, shown in the above pictures. 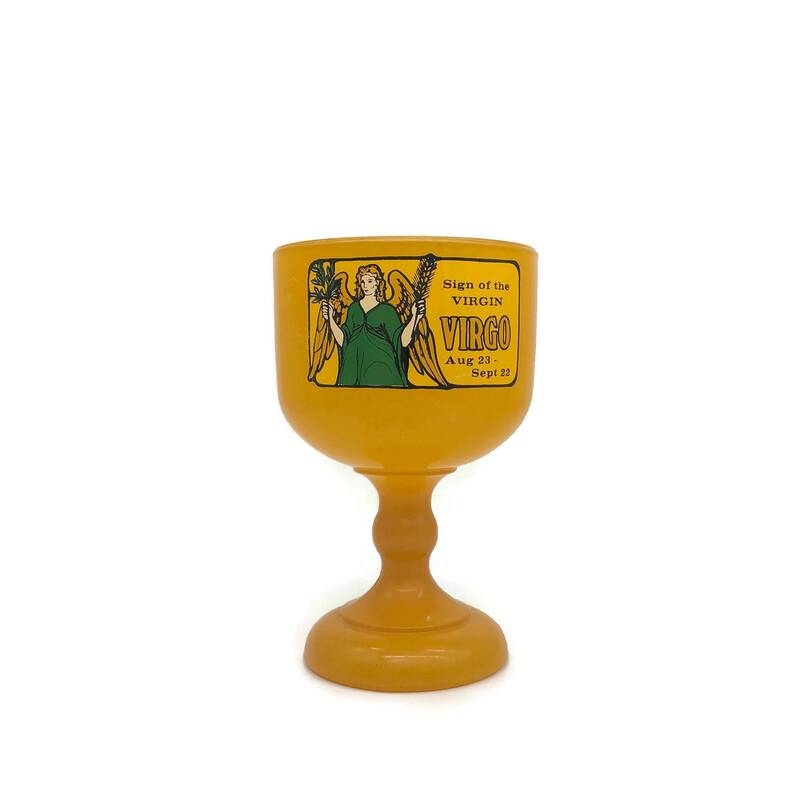 + Weighs 2 lb., 3 oz.